"Our Tenth Show: Great Beards Edition!" *Background music consisted of various Dan Deacon songs. A big thanks to everyone who tuned in for this special edition of NMTM. 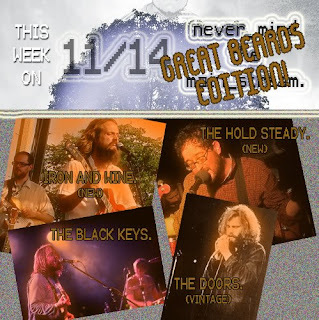 This week, Jim honored those artists who create great music, while looking classy with fuzzy faces. The beard makes the man. I unfortunately could not make the show, however, it was still a great one. The following Friday would be the New York vs. Philly show, so keep it here to see the playlist and results! Thanks again!